The temperature has been well and truly dropping just recently but I'm putting my Christmas tree up today so it's all good! 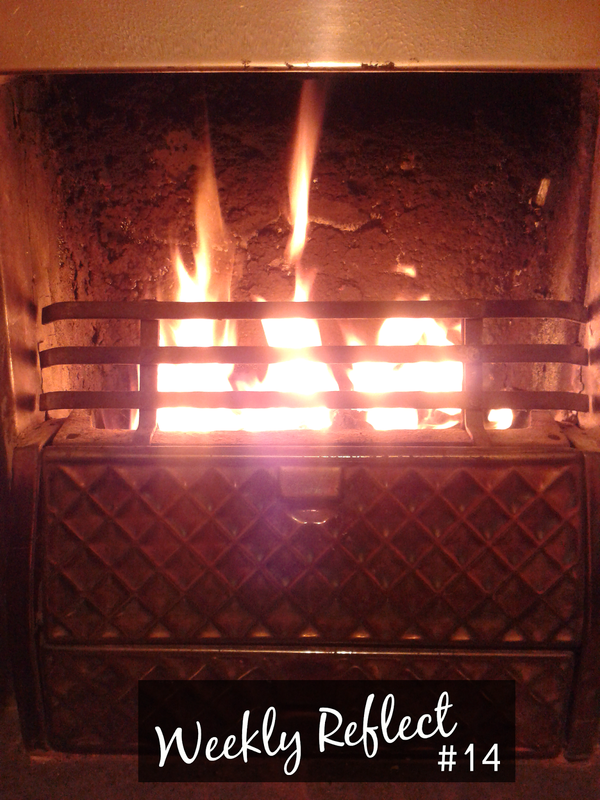 we lit our fire for the first time this Winter!
. . . I got the results of my mock A-Levels. I didn't do as bad as I thought I was going to do but I still need to do a lot of work if I want to do well. Serious revision begins over the Christmas holidays!
. . . on Tuesday, I had really positive day for some unknown reason. I woke up bright and happy and didn't let anything get me down, even though there were a few opportunites which could have. I was just in a really positive mood and tried to share it with everyone I encountered that day. Do you ever get random days like these?
. . . I've been thinking up New Year's Resolutions!
. . . last but not least - in fact probably the most exciting thing that happened this week - I got my ticket to see Nicki Minaj! She announced her European tour on Monday night (maybe that's why I was so happy the next day), tickets went on sale Friday and I very luckily got one for her Belfast date! She's my all time favourite and it still hasn't sunk in that I'll be going to see her perform in real, actual life. Roll on April!